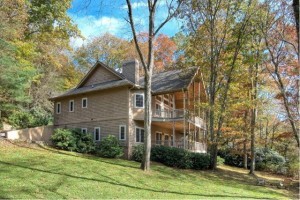 Highlands NC homes benefit greatly from backyard appeal. A main draw for buyers in our area is the setting and the more this can be enjoyed the more attractive a property can be. From spacious patios and decks to attractively landscaped yards, if the space surrounding a home can be enjoyed it can enhance property values. If you are considering selling your Highlands property consider taking a good look at its curb appeal and outdoor usage. Could your backyard use some attention? Whether you want to go all out and design an oasis complete with an outdoor kitchen or simply edge your flowers beds and spruce up the appearance of your yard, adding to your home’s outdoor living space will pay off by attracting more would-be buyers. Contact me, Lynn Kimball, today to learn more about selling Highlands real estate. I welcome the opportunity to update you on current market conditions and offer a complimentary listing presentation. My knowledge and experience can work to your advantage to get your home sold. Click here to read “Taking Root: New Garden Trends in 2014” from Realtor Magazine.